Ella wanted me to take a picture of she and Liam for my WIWW blog post, so here they are. I'd say they're looking cuter than me- for sure! I decided to go simple, comfy, and neutral today. I am full-on nursing, so whatever I'm wearing has to be easy to maneuver whenever I need to feed Guinnyth. Shoes: I have no idea where they are from. I've had them for over ten years. I love this outfit. It is trendy, forgiving on my post-baby figure, and comfy. Your little ones are too cute!!! 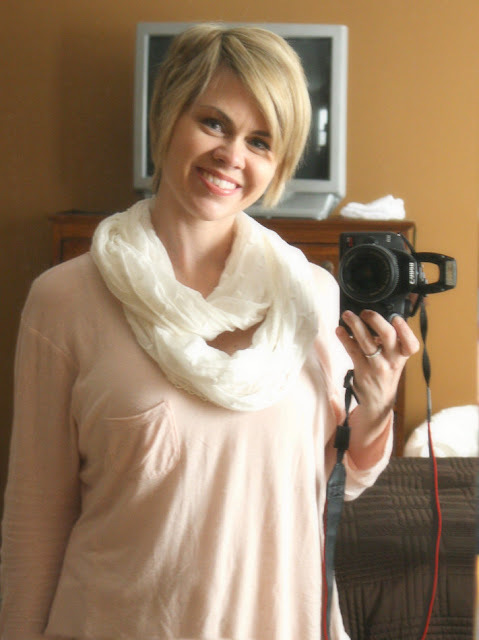 :) And I love the soft colors of your top and scarf- too pretty! Cute littles! I love their colors! Thanks for linking up!